The Model D8682 is a High Power Combiner designed specifically for multi-octave, commercial and military solid state amplifier applications. 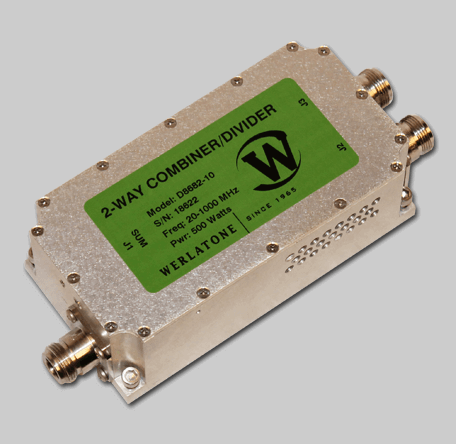 This model is only one of several Werlatone combiners available with full 20-1000 MHz bandwidth, at power levels ranging from 25 to 500 W CW. D8682 is rated at 500 W CW and will tolerate a full input failure at rated power with forced air cooling and 300 W CW without forced air cooling.